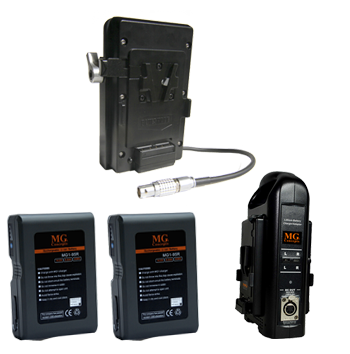 (1) MG1 Dual Battery V-mount charger with an XLR 4-Pin DC power input. Communicates with RED camera in % data for RED Dragon/Epic/Scarlet cameras. Note: Due to FAA & IATA rules & regulations, this MG1 Combo package will be shipped in two separate parcels. No exceptions. Ground service only.